Home / Climbing Gear / Are Belaying Glasses Worth The Expense? In my opinion Belaying Glasses are worth the expense. Unlike lots of sports injuries belayer’s neck creeps up on you until you eventually have a constantly sore, stiff and unstable / unbalanced neck. I have experienced belayer’s neck and found that it takes a long while to recover from belayer’s neck. I have unfortunately had to stop climbing for a number of months in order to address a neurological condition that has prevented me from climbing. In the past four months I have found my neck to improve from a condition where I was manipulating / cracking my neck at least hourly, to where I manipulate my neck a couple times a week. I don’t believe it is a coincidence that my neck has improved with a subsequent reduction in time spent belaying. 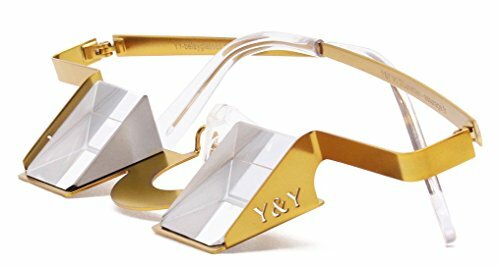 My wife was experiencing a similar complaint re a stiff and sore neck, so I purchased a pair of belayer’s glasses as a Christmas present for her. My wife takes my son to most of his climbing training which amounts to between four and twelve hours belaying for her a week. She uses her belaying glasses religiously and hardly ever complains about sore neck. I think a perception of belaying glasses amongst the climbing community is that they are difficult / strange to use and an unnecessary expense. We have found them to be very useful and easy to use. It doesn’t take very long to get used to them and I find they make a massive difference when you are belaying someone who is working a route. 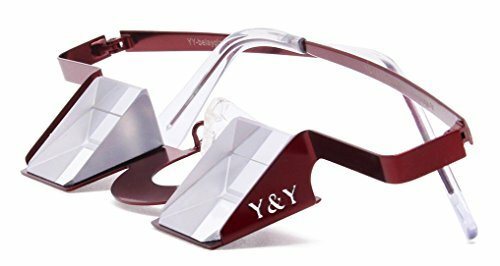 We purchased a pair of Y&Y and have been very happy with them. After a year of use they show very little wear. They came with a good quality case that clips easily to a harness. The case is designed in a way that makes it easy to get the glasses out and put them away. Belaying glasses won’t suit every belaying situation, so a combination of prevention exercises and using belaying glasses is bound to reduce the strain on your neck and avoid belayer’s neck. There are some good articles on web that should help. This one from The Climbing Doctor is concise and has an easy to follow exercise.